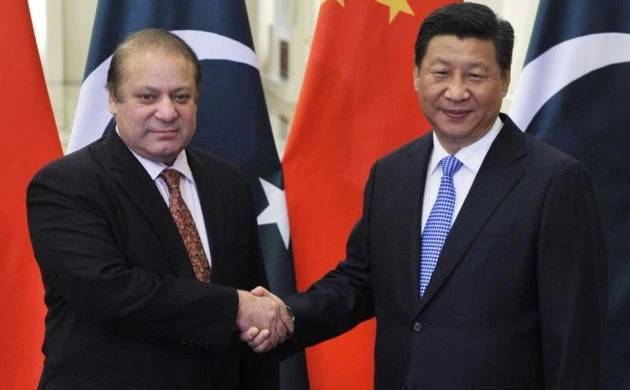 The IMF has warned Pakistan that China’s growing investments in the country, including the USD 46 billion economic corridor, have the potential to lift the cash-strapped economy’s potential output, but the repayment obligations that come with it will be serious. “During the investment phase, as the ‘early harvest’ projects proceed, Pakistan will experience a surge in FDI and other external funding inflows,” says the IMF in a short evaluation of the impact of China-Pakistan Economic Corridor (CEPC) related investments on Pakistan. The report estimates that CPEC related imports could reach 11 per cent of total projected imports by 2020, equal to just over USD 5.7 billion, while inflows under the corridor will touch 2.2 per cent of projected GDP in that year. Gross external financing needs of the country will jump almost 60 per cent by then, from a projected USD 11 billion for the current fiscal year, to USD 17.5 billion in 2020. “Pakistan will need to manage increasing CPEC-related outflows,” warns the IMF, once the Chinese investors begin repatriating profits, adding that the amounts involved “could add up to a significant level given the magnitude of the FDI”. Outflows will also come in the form of repayment obligations on the loans taken from Chinese banks for these projects, which are expected to rise after 2021. Both of these, repayments and profit repatriation, “could reach about 0.4 per cent of GDP per year over the longer run”. “Reaping the full potential benefits of CPEC will require forceful pro-growth and export-supporting reforms” the report says, citing improved business climate, governance and security as necessary preconditions to enable CPEC investments to generate the resources required to cover their own associated outflows. In addition, “allowing greater downward exchange rate flexibility” will also be necessary. The project, when it is completed, would enable China to pump its oil supplies from the Middle East through pipelines to Xinjiang cutting considerable distance for Chinese ships to travel to China. India has already protested to China over the project as it passes through Pakistan-occupied Kashmir. The matter of rising CPEC related outflows was discussed between the Fund staff and the government during the discussions prior to the review, the report said. The Pakistan government told the IMF that “additional Chinese investment over the longer term, building on CPEC as a platform, could also help cover the projected CPEC related outflows,” according to the report. For the IMF, CPEC outflows are one of the medium to long term risks facing Pakistan’s economy. It calls for “sound project evaluation and prioritisation mechanisms based on effective cost-benefit analysis and realistic forecasts of macroeconomic and financing conditions” to help mitigate the risk. It points out “a need to ensure transparency and accountability in project management and monitoring”, pointing specifically at the power purchase agreements being signed with Chinese IPPs, calling on the government to ensure that the cost of power purchase “remains favourable” for the distribution companies and consumers.